North Texans set out their blankets for the Otsukimi moon viewing festival at Klyde Warren Park on Tuesday. The festival is hosted by the Japan America Society of Dallas-Fort Worth, and citizens can enjoy Japanese music, food and art as they observe the moon. 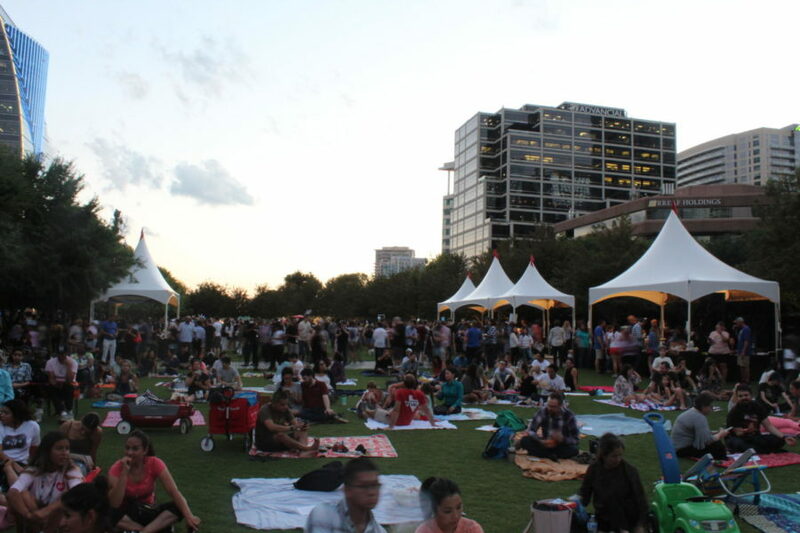 DALLAS – On Tuesday night at the Otsukimi moon viewing festival, North Texas residents set out their blankets at Klyde Warren Park and enjoyed traditional Japanese food as they listened to the soothing melodies from the shakuhachi instrument. Dating back to the Heian period in Japan, the festival is a celebration of the harvest moon, which is the first full moon of the fall season. It was originally intended for aristocrats, but has now expanded to include citizens in America as well. Among the numerous people in attendance, there were a couple of familiar faces. 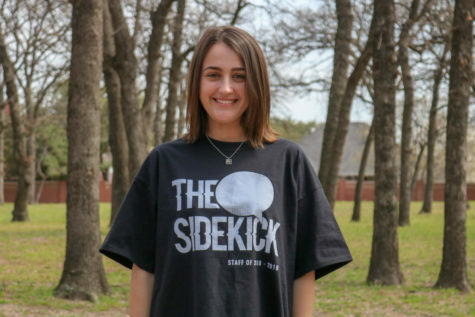 Coppell High School Earth and Space Science teacher Angela Barnes has had her students attend the event as part of a learning opportunity for the past five years. 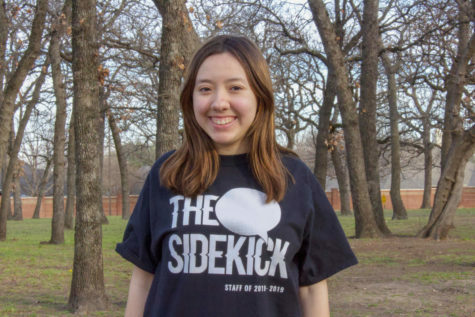 The festival is hosted by the Japan America Society of Dallas-Fort Worth (JASDFW), a society that connects the Japanese and American cultures and builds that relationship. There was a multitude of tents featuring aspects of the culture such as dumplings, moon rabbit ears, calligraphy and origami, all of which further immersed attendees in the culture. The festival shed a light on the Japanese culture and offered a chance for families and friends alike to enjoy themselves and the harvest moon. Great story Sofia! I loved reading about this event, it was very unique.